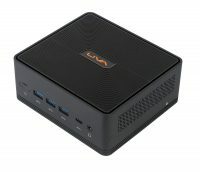 ［Taiwan－Taipei］Elitegroup Computer Systems (ECS), the global leading motherboard, Mini-PC, Notebooks, mobile device and smart city solutions provider, is pleased to announce the LIVA Z2 and Z2V silent, energy efficient multi-functional mini PC designed for digital signage, workstation, and noise sensitive situations. 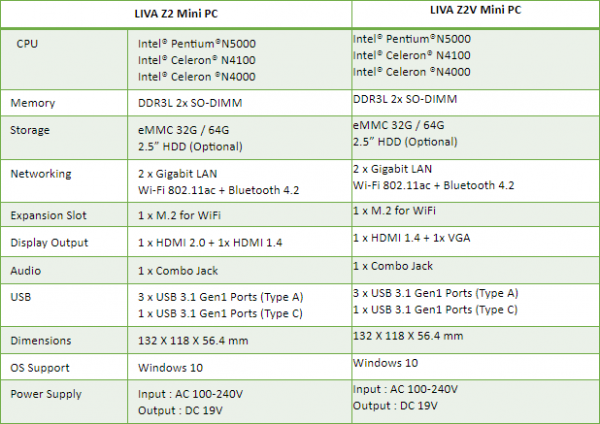 The LIVA Z2 and Z2V are available with three Intel Gemini Lake based options, for varying processing needs. Both models are supported by 64GB of on-board eMMC, with a 2.5” HDD bay available for expanded storage options, 3 USB 3.0, 2 USB 2.0 and a high-speed USB type C connector. The LIVA Z2 features HDMI 2.0 for high bandwidth needs while the Z2V has HDMI 1.4 and D-Sub connectors for legacy and presentation situations. 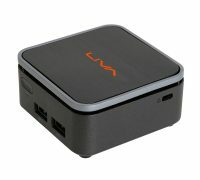 The all new LIVA Z2/Z2V Mini PC features a fanless design, allowing power saving and complete silence. It provides stunning 4K / UHD high quality playback with the full function of a desktop in a space-saving design. The LIVA Z2 fits a lot of tech into its small size. 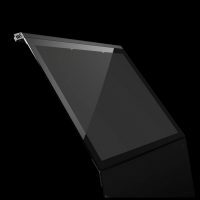 The case is only 0.48 liters yet provides a multitude of connectors including one reversable USB type C, two HDMI, 802.11ac Wi-Fi, Bluetooth 4.1 and a Kensington lock. 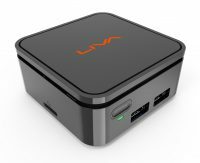 For the maker and professional developers, the LIVA Z2 includes a GPIO, an uncommitted digital signal pin whose behavior is controllable by the user at run time. 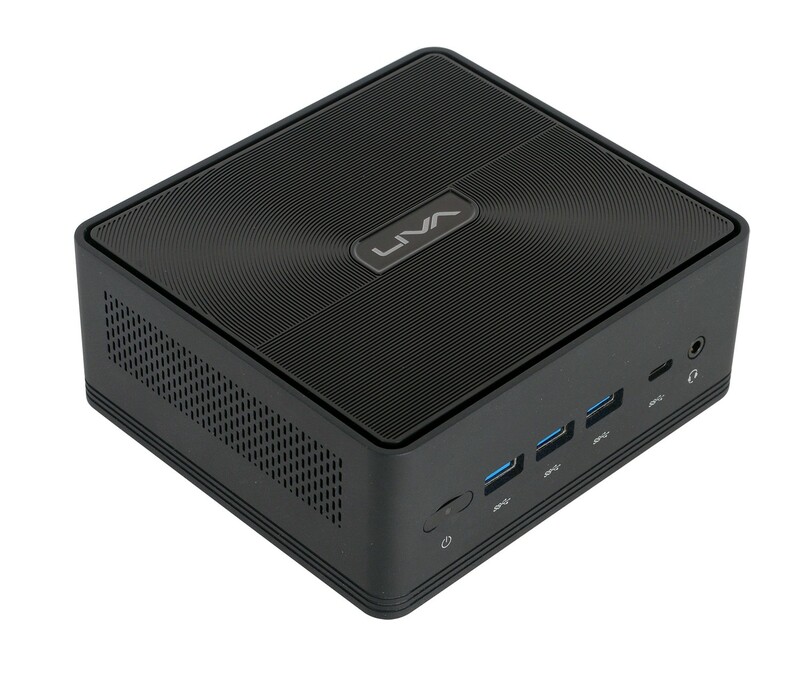 The LIVA Z2/Z2V is easier to upgrade than many mini PC despite its small size. 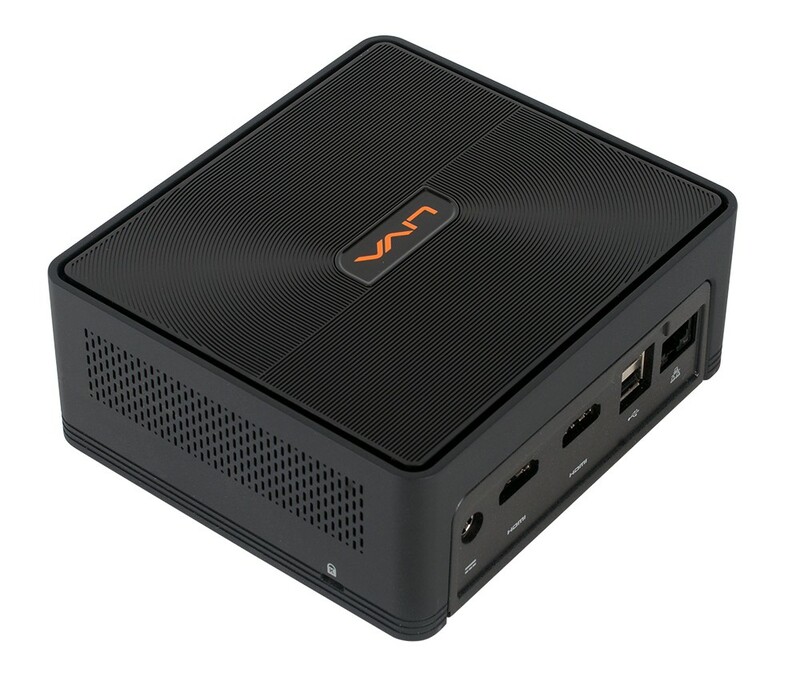 Simply remove four screws and the user can access the M.2 Wi-Fi, memory modules and 2.5” HDD storage slots. The LIVA Z2/Z2V is an environmental win. Low carbon footprint, long life, energy efficiency and low power draw make for incredible energy efficiency and cost saving. When used as a home entertainment center or media library, the LIVA Z2/Z2V uses less power than a lightbulb, about 6W. Its silence and no moving parts mean the only thing heard is everything except the PC. This tiny yet powerful PC has the ability of a much larger system with out the noise, cost, or hassle inherent in bigger units .